This is a portrait I painted this past Thursday for The Weekly Standard. I started painting around 9:00 a.m. and painted until midnight that night . . . got up at the crack Friday morning and finished the painting around 10:00 a.m. An exremely tight deadline for this type of work. 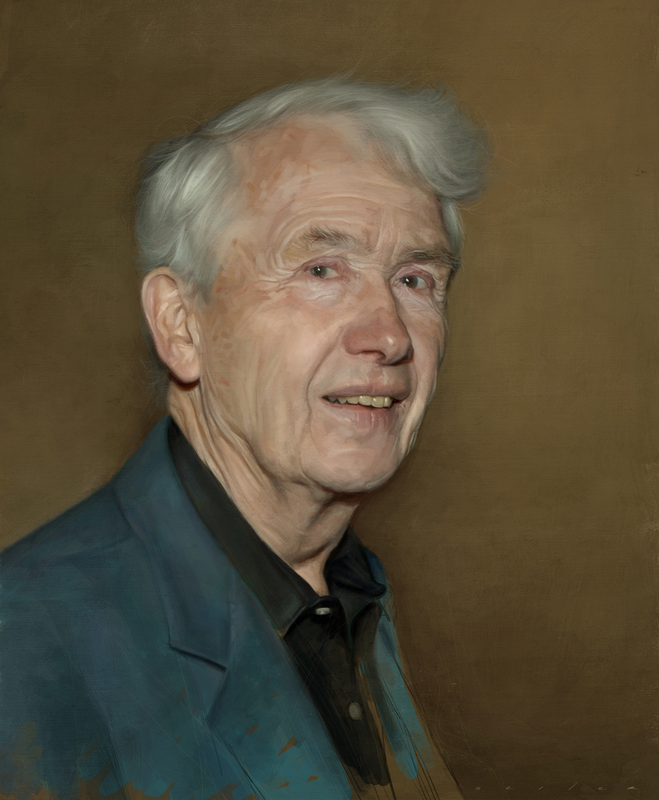 This is a painting of Frank McCourt, the Irish American author, who was best known for the Pulitzer Prize-winning memoir Angela’s Ashes that chronicled his impoverished upbringing. Frank passed away Sunday the 19th of July '09. He was 78. My influence artistically for this piece was my favorite illustrator, Norman Rockwell. I was also inspired by the palette of Rembrandt and Zorn Anders, or at least the look that they achieved.